The mall is a laggy chunk. It always has been. Best thing I can say would be to get as far away from the mall as possible and restart the game. Mall + Zombies = This is how you died. Though even on a toaster like mine, I've lured them away and cleared the mall. It's still pretty choppy. So I have been finding several food items that are in the refrigerators that have gone rotten while there is still power available. I understand the food that is outside of a fridge or freezer, but why would they go rotten in the fridge? Is there a time frame where all food will go rotten even if it is inside of a fridge? They'll go rotten in a freezer too. The fridge slows down the decay rate, and the freezer almost stops it, but neither will completely stop nature. Maybe they've added food "experition/good-by" mechanics. Which is better for gameplay since it's realistic. I mean, food doesn't last forever, even if refrigerated, it only helps it last longer than if not refrigerated. EDIT: I have never noticed this since I've never lasted long enough to experience the food degradation due to time. There's a mod which does what you are thinking of - I *just* noticed it in the steam workshop. I get again key diseappear on MP while doing quickly "click on ignition to remove key > use [Key] to exit car"
Because translation I'am not sure to understand sense, I totally agree If it is the way that hire wire is too simple. actually on Spiffo Space problem is to find batteries and gaz, not at all key (or hire wire) to manage to start cars. I think that IRL if infection occur, that should quite more inverse. the need of same skill to start a cerise wagon and a Cop car is weird. 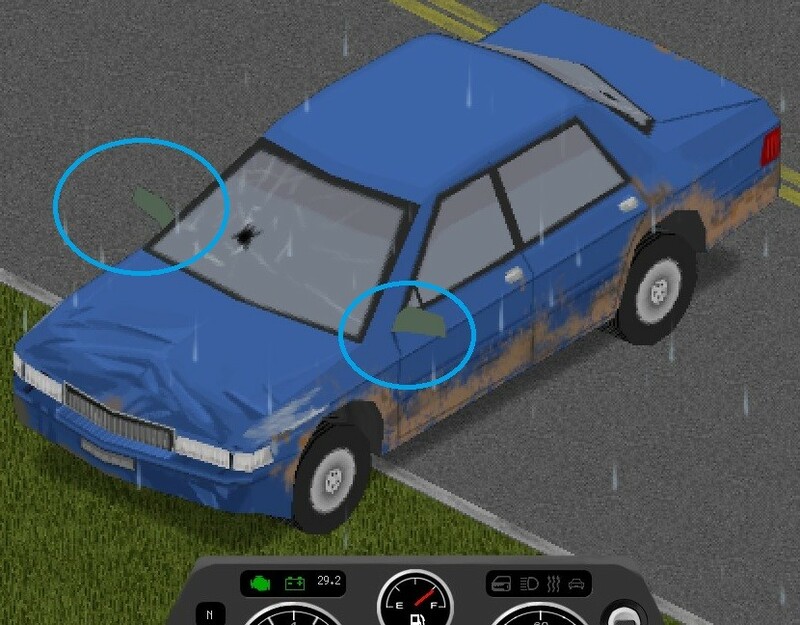 Then at least if not increase skill required (as was nerfed some version ago), then could have difference of skill requirement according to car. such as : familial=2 < commercial=3 < sports=5 < civil cars=7. then even at low skill could find a simple car to drive, and later when more skillfull, can try on a more powered or usefull car. The firsts Spiffo Space in games month, all cars was stripped, with all stuff just around cars. That's not really a good view of a zombie apocalypse. The system to XP is first unsintal and install give XP. but majority of player only unisntall. IRL, it's more difficult to install a part that unistall it, then A solution could be very good for all of this : Give (very) more XP by install than (and/or less, to balance) uninstall. 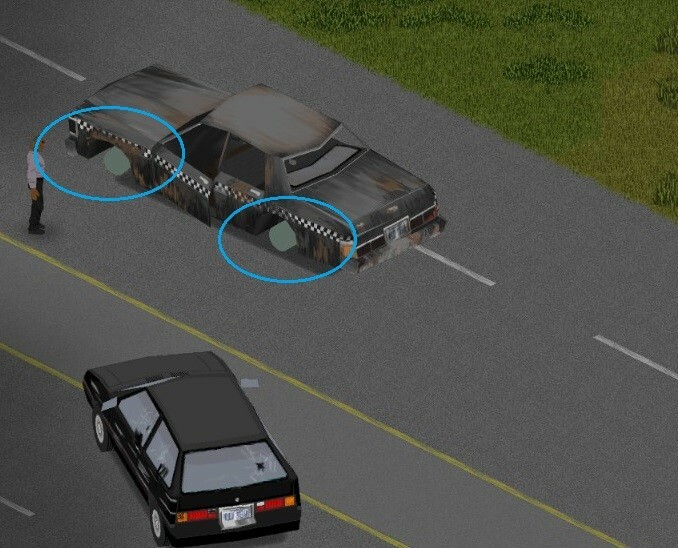 Then players will by themeslve not leave all parts of car on the ground ! So far, limited testing about 2 hours LAN play, the vehicles work well in gameplay and from my technical viewpoint. I'm able to drive without any significant lag, the few times we had lag it was network congestion on our LAN. It has admittedly had a major effect on gameplay for me. I'm more willing to take long distance travel as an option instead of a last resort. I was cruising around until I found a place I felt like I wanted to live in, in Rosewood (which I had never been to) and we ended up basing there. That trip would have taken in prior builds too long to even consider given my limited (and divided) playtime. So that will be interesting, I could imagine a mechanic using the vehicle as a mobile base, instead of the usual carpentry/garden/forage path I've grown to love. Water collection in such a situation is something I'd have to test, but I think it could be done. Fuel concerns would be next highest on that list. I do think trying to train mechanic from scratch might be too hard, yet. Perhaps intentionally for multiplayer component? Brief: Great job! Looking forward to the next time family can sit down and play together again. Poor veggies!!!! What could Stephan Hawkins think!?!?!?! May his soul rest in peace. We have this in Canada too. I just assumed it was everywhere... I love how many little, seemingly mundane differences in the world I learn about as a result of this game/forum. 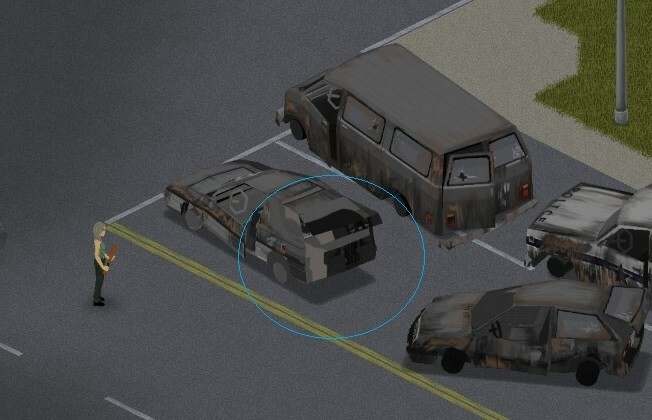 Hunting for gasoline is going to be interesting, i checked lots of cars and only a very few handful of them had gasoline, i cannot imagine how this is working on MP, we are going to have Mad Max wars over this. Thats about my only complaint about playing it for like 4 hours or so, its the third day since the outbreak and a lot of parked vehicles have no gasoline, i thought a lot of people kinda dropped dead on their work and they were going to refuel after getting out of work? Like even parked cars in the garages have no gasoline. 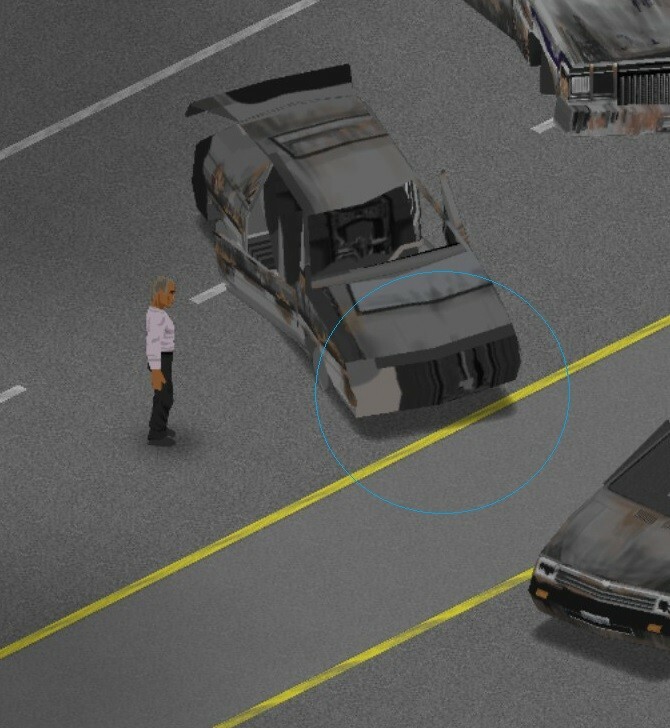 Also i got surprised when i crashed into a pile up of vehicles in a intersection with my survivor companion and got flashbacks of the Dead Rising intro because the car wouldn't start or move at all since something popped and the windows of the car got destroyed by zombies coming from the pile of vehicles and i got killed, seriously it was something out of Dead Rising or the Walking Dead. 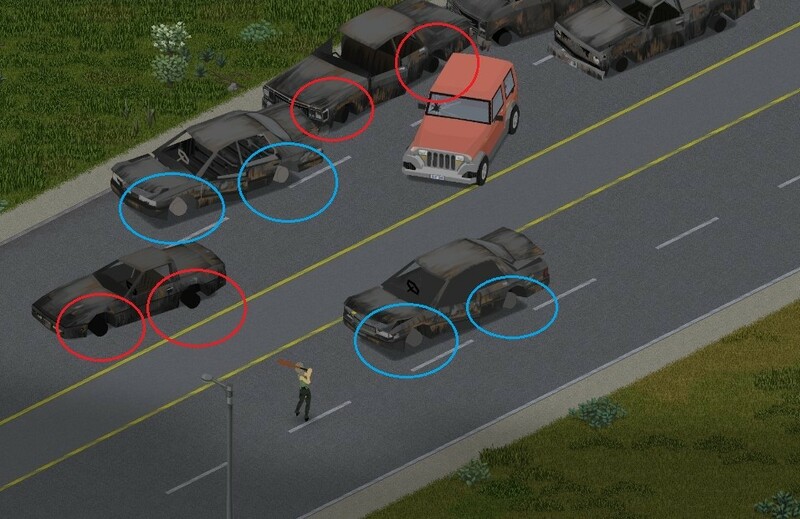 stake ( barbed wire ) have no collision box with car (nor players, but less weird). Seems that in some case colison box appear, then car flight. All bulding action an placing objects shouldn't be allowed on tiles where is a car..
thank's to the longer time to enter PvP ! But while the loading bar during this time, could be good if the skull appear with other color, better : instead of a this loading bar, a loading color on the skull (with skull fill in red, then when PvP, becoming white). 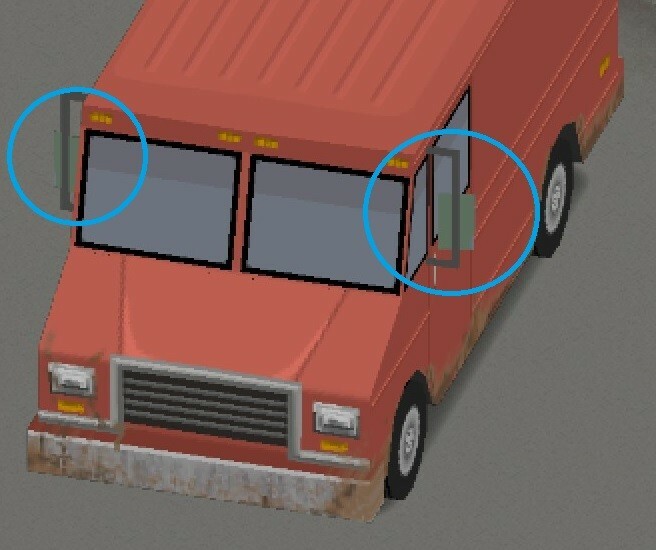 So the same state icone could be visible and understood by all players. shoot with gun across spike walls and wired wall don't do damages. Sink take in account only earlier collectors. So if i add a collector, Have to pick and pose sink to refresh new links. Have pure water is still cheaty. but actually do a good balance for the impossiblity to use sinks to directly wash clothes and bandages. Can't select text in chat windows (display part) to copy it. hard to communicate with russian by typing letters one by one because can't copy it to translate. 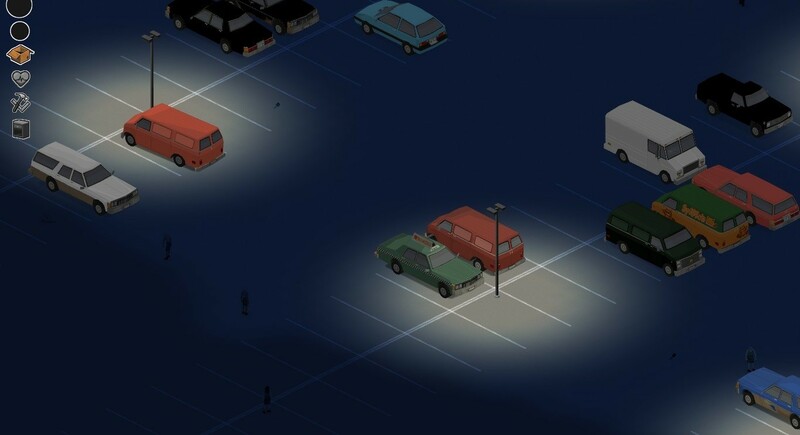 Vehicle's brightness is too bright (No shaders). I've been waiting for the vehicles beta for a while. Now that it's moved to IWUBMs, I've been able to (with a worrisome-free conscience) test it out for myself, and let me say that I love it. I makes traversal much easier and adds an element of protection when being overrun. The only problem I'm having is that I cannot launch a multiplayer server through Steam for my friend to connect to. It's stuck on the "Loading World" screen for an indefinite amount of time. I had it up for about 30 minutes before I ended it the first time, and 10 minutes the second time. Also, the game doesn't close properly after having tried to launch a server, and I'm forced to close Steam and restart it. I have a feeling this could be a system-specific bug, but I would like to see if anyone is able to reproduce this. I haven't looked anywhere else for this bug, by the way, I've only posted it here. Thanks in advance. P.S. I posted this in another thread that i though was this one, but alas it wasn't. So pardon for a duplicate post. 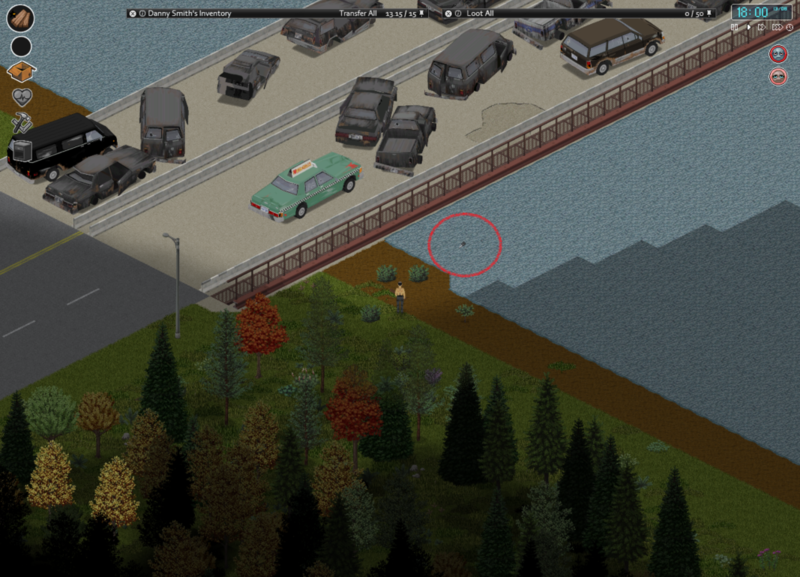 THE REAL GLITCH: You should be able to catch the keys with a fishing pole! I still hate how cars disappear out of your vision once you look the other way. This happens to no other big objects. Not to houses, not to furniture, not to garbage bins... but cars for some reason disappear. Yes, they can move around, but if I just parked a car outside my house, then I *know* it is there, even if I look the other way for a second. There should be either a delay, or just stop them from going invisible completely, even if they are behind a wall. 1000% agree, it breaks immersion, world with cars and jams seem more natural and realistically. At least cars that you already discover should be always visible. Of course there is a possibility that someone stole your car while you looked the other way but it would give the effect that you "thought" the car was there I suppose.